Peter Myers is Certified as a Specialist in Estate Planning, Trust and Probate Law by the State Bar of California's Board of Legal Specialization. Handling high-net-worth planning, business succession, and trusts and estates disputes, he guides individuals and families who need a reliable relationship with a caring, experienced lawyer who will assist them in times of greatest personal opportunity, life event, or crisis. Peter frequently writes and teaches in the areas of estate planning, family business entities and estate planning and has authored and published treatises, books and articles, regularly speaking throughout the country on topics of interest to wealthy families and their advisers, as well as at conventions of professionals. 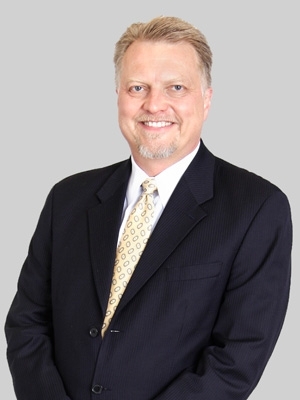 His speaking engagements include the National Network of Estate Planning Attorneys, WealthCounsel, LLC, The Southern California Institute, California Continuing Education of the Bar and various ancillary CLE Providers. His published work appears in CEB, Trusts and Estates Magazine, iUniverse, and Wonderdads. Prior to joining Fox Rothschild, Peter was a principal of Myers Kenney P.C. (previously known as Myers Urbatsch, P.C.). Peter also practiced antitrust and securities law with a national firm from 1987 through 1992 before starting his own firm. Peter is the executive editor of the book Business Succession Planning: Strategies for California Estate Planners and Business Attorneys, published by Continuing Education of the Bar-California. He was an adjunct faculty member at Golden Gate University, San Francisco campus, and The Wealth Strategies Institute at Michigan State University, where he taught stock options planning. Peter also offers popular educational seminars and training courses for consumers, attorneys, business owners, accountants and other related professionals, including the annual Fiduciary Attorney Summit in (to be held this year in Santa Barbara) and a Review Course for the Exam to Become a California Certified Specialist in Estate Planning, Trust and Probate Law.